The Perstorp Group, a world leader in specialty chemicals, will be presenting its latest developments in carbon sources for intumescent systems. This will include the next step in carbon source innovation for both coating and plastic based intumescent systems, known as Charmor™ PM40 Care. Reducing the toxicity of smoke, and slowing down smoke release in the event of a fire has become a burning issue, especially with new fire legislation. People die more often in fires from smoke inhalation than from the actual fire. 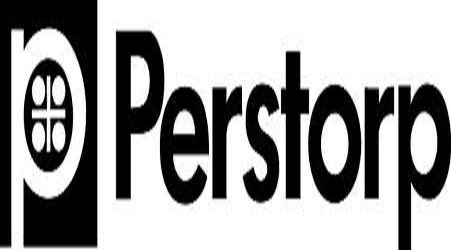 Perstorp’s new Charmor™ PM40 Care is the next development step in safe carbon source products for intumescent systems. Like other Charmor™ products, using Charmor™ PM40 Care contributes to fully meet the tough new legislations for plastics, by significantly reducing smoke release. This allows for more time to escape and put the fire out, with a light weight low density solution. But Charmor™ PM40 Care does not stop there; it goes on to give you a unique and unmatchable environmental profile too. Charmor™ is a well-established and leading brand in carbon source intumescent coatings and plastic systems. Perstorp launched the Charmor™ brand several years ago with Charmor™ PP100 (polymeric- lower melting point), which is used in polyolefins and thermoplastic elastomers (TPE’s). In addition the Charmor product family includes Charmor™ PM, used in thermosets for gel coats, composites and panels and Charmor™ DP, used in thermoplastics for cables. At K Fair we will be taking carbon source development to the next level by launching Charmor™ PM40 Care. Charmor™ PM40 Care is the same molecule as Charmor™ PM40, but with a sharpened sustainability profile. This is a carbon source product based on renewable raw material, with a low carbon footprint (75% lower). Charmor™ PM40 Care strengthens Perstorp’s position as the market leader in carbon sources for intumescent coatings and plastic materials. It also supports our passion to innovate products that contribute to saving people’s lives and a more sustainable society. Visit us at stand B15 hall 07.2 at K Fair to get the inside track on Charmor™ PM40 Care. More details about our Charmor™ range and what we will be showcasing at K Fair, please go to www.perstorp.com. Don’t miss out on this important new innovation. Perstorp will also be showcasing new products for biodegradable plastics, non-phthalate plasticizers for sensitive applications and new high heat resistant transparent thermoplastic co-polyesters for plastic packaging and durable applications.